When it comes to top-rated morning shows, most managers will agree that it takes a little bit of ‘crazy’ to create the chemistry, commitment and contagious enthusiasm that keeps a show at the top of the ratings. 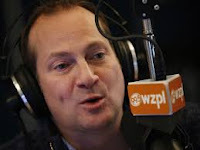 Few local hosts exemplify this trait than DAVE SMILEY, captain of the dominant “Smiley in the Morning Show” at Indianapolis CHR mainstay WZPL. In his multi-faceted roles as quarterback, coach and cheerleader, he has demonstrated that there is far more to making great morning radio than meets the ear, and maintains a crucial focus to create the seemingly free-styling morning powerhouse. In a great story, Dave shares the story of how his first radio gig happened on a 'wing and a prayer'...literally! 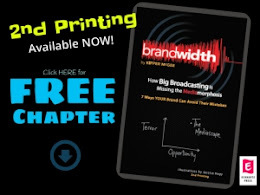 He also reveals some of his biggest surprises since moving into large-market radio with a leading broadcast company and the journey behind creating such a high-profile, top rated morning show. PD's or those who would like to be will gain insights on what a developed show hungers for, and some things NOT to do! We also asked Dave about things he knows NOW, he wishes he'd know "THEN". His response may surprise you! These first 10 Episodes will be available in their entirety ONLY through the end of January, 2017. Then,they’ll be tucked away in the Brandwidth Archives, so if you missed any previous episode, please feel free to download them now.